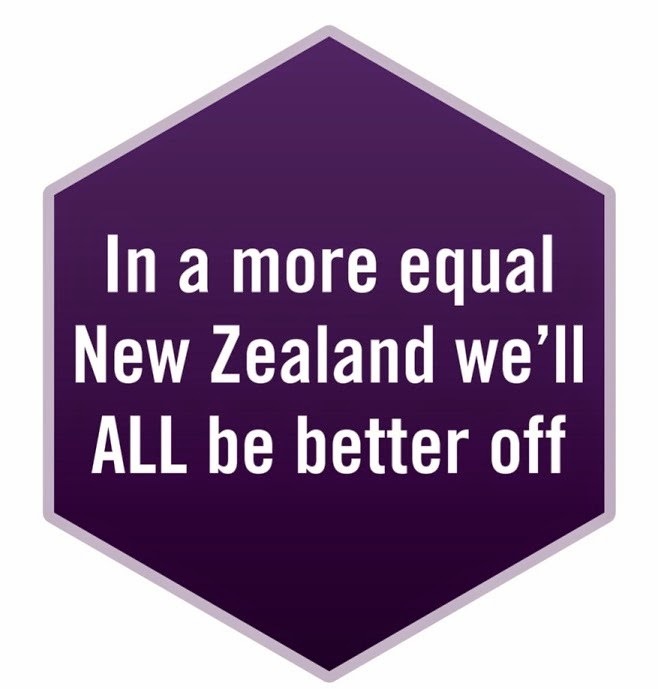 Inequality rose faster in New Zealand in the late 1980s than in any other country according to Richard Wilkinson, one of the authors of The Spirit Level. He ranks New Zealand as the sixth most unequal society of 23 rich countries, when the incomes of the richest 20% are compared with the poorest 20%. Problems associated with inequality include reduced life expectancy, child mortality, drug abuse, crime, homicide rates, mental illness and obesity. So, are there too many people receiving benefits? Not according to Laura Black from the Methodist Mission. She points to a new report by the German conservative think-tank Bertelsmann Stiftung showing New Zealand has the 11th lowest unemployment rate and the 5th lowest long-term unemployment rate in the OECD. This shows New Zealanders are very good at moving out of unemployment, according to Black. Benefit numbers increased by 10,631 in December, according to Minister of Social Development, Paula Bennett. A large proportion was young people completing education and training and looking for work. December benefit numbers included: unemployment – 67,084; Domestic Purposes -112,865; - Invalid’s -85,105; and Sickness - 59,988. Labour's Social Development spokesperson Annette King says "Government has no plan to create jobs or to grow our economy." Jacinda Ardern, Labour's Youth Affairs spokesperson, is concerned the young people who have recently finished training and can’t get jobs may well head to Australia where "1000 new jobs were created each day last year." Youth rates will not solve New Zealand’s high rate of youth unemployment says Ardern. New Zealand is facing a crisis in youth unemployment, according to the Council of Trade Unions, and both the CTU and Salvation Army are concerned about reduced opportunities for our young people. Health Minister Tony Ryall is committed to addressing all of the recommendations from the Auditor General's report into rest home performance. The report on rest home monitoring was damning. The Minister blamed the previous government. Better care, according to the Child Poverty Action Group. Australia’s parental leave policies have just got more generous. They emphasise the benefits of parental leave for the full development of all children, while recognising parent’s links to the labour market. New Zealand’s Paid Parental Leave and the Parental Tax Credit both have narrow work requirements. Babies cared for by beneficiaries (and superannuitants) are specifically excluded from these provisions. The Child Poverty Action Group have written a backgrounder on Paid Parental Leave. See also the Labour announcements around paid parental leave policy. The UN Committee on the Rights of the Child has examined how New Zealand is implementing the Convention on the Rights of the Child. The Committee expert, said 'that in spite of the favourable situation for most children, child rights-based policies and an overarching comprehensive child policy did not exist in New Zealand: there is no specific department or ministry responsible for child-related issues; no National Action Plan; very limited coordination; and the Convention is not an integrated internal legal provision or a framework to develop strategies,' More. See CPAG’s Submission to the UN Committee. Anti-violence campaigns such as “White Ribbon” and “It’s Not OK” are having an impact according to the Families Commision. The Ministry of Justice’s Crime and Safety Survey showed a large drop in confrontational offences by partners from 22 crimes per 100 adults in 2005, to 14 per 100 in 2008. The Survey is a nationally representative sample of 6106 New Zealanders aged over 15 interviewed during the first half of 2009. People were asked if they had been a victim of crime in 2008. It had a 70% response rate. more. This Ministry of Social Development resource is a starting point for helping improve work with teen fathers. It includes info on: what we know about teenage fathers in New Zealand; things to think when we develop services for teenage fathers; and profiles of five groups who work with teenage fathers in New Zealand now. Email information@msd.govt.nz to get a printed copy of the booklet. Order now. Resources take up to 2 weeks for delivery. The first funding round is now open for community projects in New Zealand to improve attitudes and behaviours towards disabled people. Inspirational points! Thanks for revealing this super valuable resource!